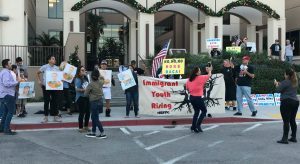 Recently, a group of immigrant rights supporters clashed with pro Trump supporters in the City of Corona. Both sides were legally within their rights to demonstrate and pass their word. One side had an amplified loud speaker powered by a generator to project music and speech. The other side brought bull horns, and used them to drown out the speech of the other group. This is a common tactic in any protest and several questions were brought to my attention by some in one of the groups. In question was the legality of the bull horn used to block or interrupt the amplified loud speaker used by the other group. The subject with the question challenged the police on their non-action against the pro-Trump group, saying that he suspected they were violating a City code with the bull horns; he was correct. I did inform him of this, and also pointed out that he too was in violation of City codes, like using amplified speakers in public without a permit, blocking a sidewalk, and erecting a Christmas tree on the sidewalk to impede pedestrian traffic. The point is to understand the discretion used by officers at the scene of such an event. 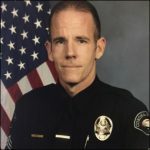 Given the afforded protections of the First Amendment, and the value in free speech (by any means), officers and deputies are encouraged to balance the protected rights of the involved groups with the interest of the city. You’re not going to be wrong if you support everyone reasonably and the best you can for what you have. ← Are you ready for unrest?